1 great personality | This Blog Rules | Why go elsewhere? 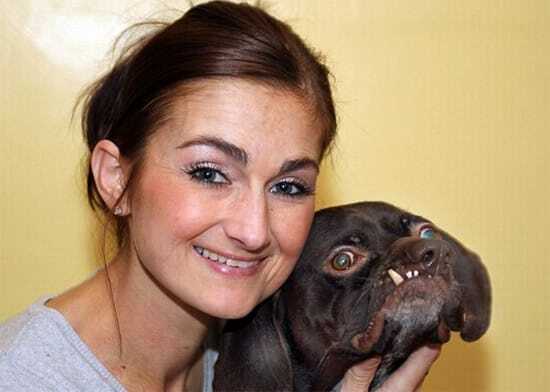 Meet Britain’s ugliest dog, Ug. He has been adopted by April Parker and her two teenage daughters who found him in the animal shelter Mayflower where he had been ignored for a long time, probably because most people couldn’t see the beauty in him. Well, April had a different opinion, and now the pooch has a loving home and gracious owners. Ug is a two-year-old pointer cross with one blind eye and buck teeth, likely from inheritance.